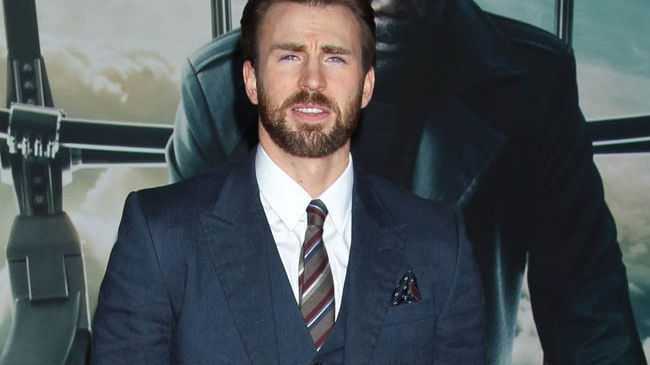 CHRIS Evans once enjoyed a "very romantic" camping trip - on his own. The 'Captain America' actor - who is currently single - thinks he is a "pretty romantic" person but doesn't believe romance should just be limited to people. He said: "I'm a pretty romantic guy. "I don't necessarily limit the notion of romance to people, though. I think I have a romantic relationship to art, to music, to nature. "I went camping once for three weeks by myself, which is very romantic. It's true. It was very romantic, but maybe not in the conventional sense." Asked if he is ready to settle down, he told People magazine: "Oh God, I couldn't even think about my own life. "I had no life during this movie. This movie was all about the movie and that was it." 'Before We Go' tells the story of two strangers stranded in New York City for the night and Chris could relate to the "pain" his character suffered when he lost love. He told E! News: "What I liked about this character was that he was in love. He had everything he wanted and he lost it. I think that pain is far deeper. So, yeah, I certainly consider that I've felt some really good things in my life and had them change or evolve or grow. Sometimes you don't even have to lose it. Sometimes you can just shift."